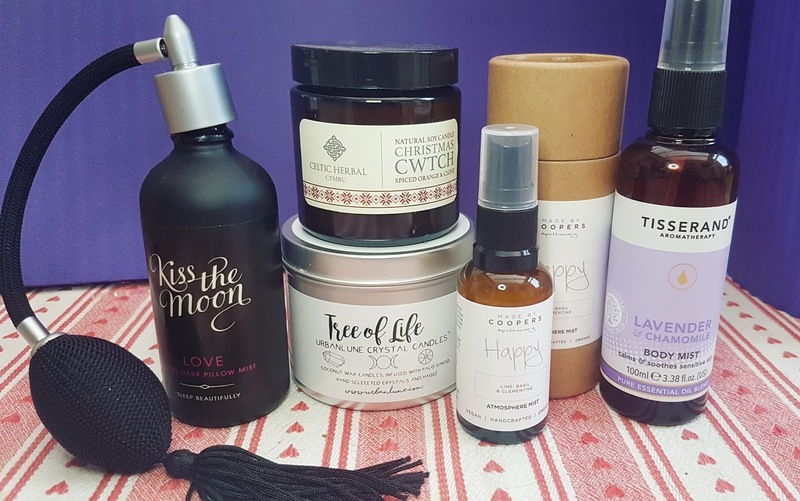 I'm back with more picks for best ethical beauty products of 2018! Like I said in my previous roundup of my top green goodies, I've decided that every week in January I will share with you my choices for best in show. I started with makeup, and now it is time to highlight the candles, shampoos, shower gels, and other home and hygiene goodies I couldn't stop reaching for. These don't include any BSL entries I tested (but don't worry, I will be writing about those nearer Awards Day!! ), nor do they include any products I began using in the final part of the year as I just didn't have enough time with them to fully assess their effectiveness. But who knows, maybe some of those will make their way into my favourites from 2019! 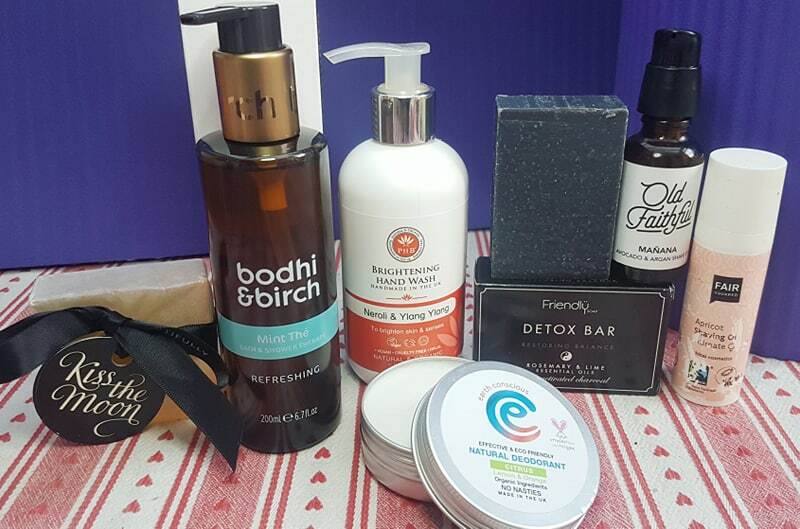 This is the category that actually had the most recent additions to my beauty cupboard last year, as I was pretty new to the world of plastic free dental products and shower treats. I was fairly hard to please, as I did not want to sacrifice quality, and I knew if I just kept looking and trialing brands I would eventually find the perfect fit for me. And guess what -- I was right! All of the following products have been approved by both me and my partner (well, mostly -- he is still a little hesitant about natural and plastic free toothpaste and mouthwash), and have showed fantastic results. Plus, every single product in this roundup is vegan, cruelty free, and of course totally clean when it comes to ingredients! I am not usually super keen on shower gels, but Bodhi & Birch got me to change my mind and fall in love with their Mint Thé therapy. Not only is it incredibly refreshing, waking your senses and making your body feel instantly more alive, but this formula also helps soothe sore muscles, clear your sinuses, and ease tension. Now how many shower gels can promise those sorts of results?? The gel is the thickest consistency I have come across, but this makes it feel like it is nourishing your skin as well as cleansing it. My favourite thing about this? The mouth watering minty scent sticks around, helping you feel awake, clear headed, and rejuvenated all day! If you are looking for a vegan friendly in-shower soap, Friendly's Detox Bar is a fantastic option. I absolutely loved this soap, and I think that is the first time I can honestly say that about a body soap bar. It does still leave that 'soap' feeling on the skin, but I didn't mind it so much as I could also feel the nourishing ingredients working as well. This has been a favourite of mine since early in 2018 after getting my first bar from The Cruelty Free Beauty Box, and I have been using it to cleanse and exfoliate my arms, chest, shoulders, and lower back ever since. It has really been helping regulate and balance my skin, and the little bumps I would sometimes get have completely vanished. It smells great, is cheap as chips, and has no plastic packaging, so it is a total win. This is the shaving soap bar that convinced Tim to finally switch from his awful aerosol style high street foams to an all natural option. Trevarno's vegan friendly bar gives a super rich lather that helps soften hairs, nourish the skin, and allows for an easy shave without any nicks or scrapes. There are no harsh sulphates in the formula, and just six simple and clean ingredients -- saponified olive and coconut oil, saponified shea and cocoa butter, and moisturizing olive oil and cocoa butter. This is definitely the best shaving bar we tried in 2018! I first started trying out Old Faithful's vegan friendly range back in April last year, and since then I have kept going back for more as the shaving oils are so gentle and leave your skin feeling silky smooth. My favourite is probably the Avocado & Argan Shave Oil, as it allows your razor to glide perfectly across the skin and helps achieve a really close shave without leaving any bumps. But if you're looking for a shaving oil for those more delicate areas, you can't get any better than Fair Square Shaving Soap Intimate. The oil is really light while still being nourishing, helps fight against ingrown hairs, plus it has a low pH which makes it suitable for even sensitive skin types. It is in a plastic container, but the quality is really good and for the price you can't really do better! It is so hard to pick just one, as I have genuinely got on with almost every natural deodorant I have tried so far (and I have a post I've been working on rounding them all up!). If I was pushed to select just one (which I guess I am! ), then I would probably go for Earth Conscious based on its plastic free packaging and really fresh scents. They have seven different fragrances (one of which is unscented for those who are sensitive to essential oils!) and two different application methods -- a tin and a tube. The formula works for me all day without needing to be reapplied, and it doesn't irritate my underarms at all. I want to give a special shout out to Elsa's as well, as their recent plastic free tins have really caught my attention and I find the brands scents and effectiveness some of the best on the market. I have not actually tried the tins yet though, so can't choose it as my best ethical deo quite yet. I can be pretty picky when it comes to hand soaps, as I look for a formula that is all natural, non-drying, smells incredible, cost efficient, and leaves company wondering where they can pick a bottle up. And PHB's vegan friendly Hand Wash, especially their Brightening one, ticks all those boxes, making it my top pick for best ethical liquid hand soap of 2018! I am a bit nervous that PHB will decide to discontinue this product in its overhaul of their skincare range, so fingers crossed they choose to keep it as it is definitely a favourite in our household. The scent of neroli and ylang ylang is so uplifting, and it does such a great job of cleaning your hands while also leaving them feeling soft and smooth. The Rejuvenating variety is also a great option, and that IS still available to purchase -- so if you want to try these out, be quick before they are all gone! I had quite a few favourites in this category, but the one that stood out the most has to be Kiss the Moon's Pure Essential Oil Soap. Not only is this plastic free and beautifully presented with their signature ribbon, but each blend smells incredible! I have been loving Calm, which is a gorgeous mix of jasmine and sandalwood. The soap is made usually traditional soapmaking methods, and it gives a great aromatherapy treatment every time you wet and lather it up. I find this helps relieve my worries throughout the day, plus gives my hands a little moisture boost when I wash them. 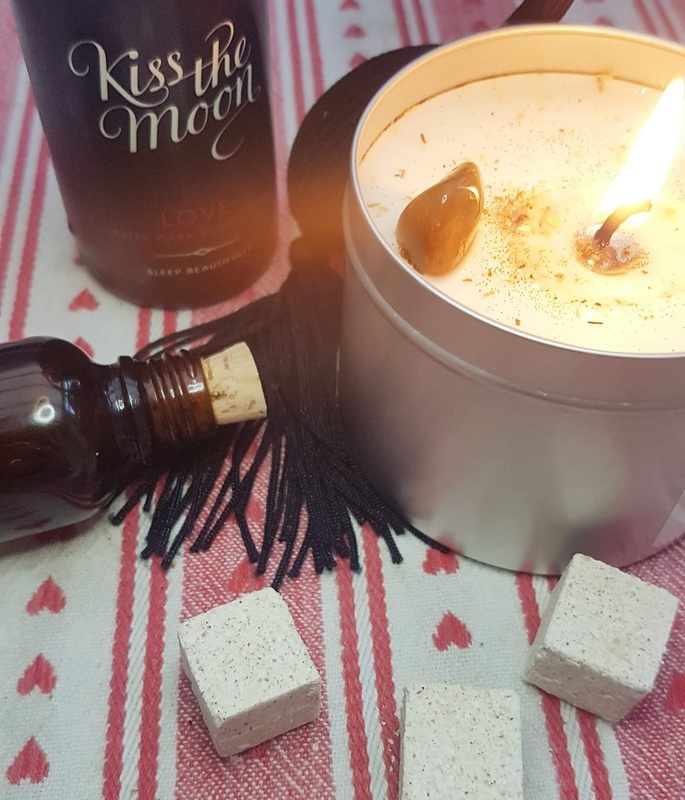 You can also pick up a bar as part of Kiss the Moon's Sleep Set which comes with a candle and bath salts -- the perfect self care package for this frigid season! I have mentioned JMO's Scalp Stimulating Shampoo so many times in my empties, it is a no brainer for my top pick for liquid shampoo. I find this shampoo works perfectly for my hair, leaving it clean, refreshed, and not dried out at all. I tend to wash my hair about twice a week (sometimes three if it really looks like it needs it), and the formula for this means I don't look oily or gross in between washes. Plus, I find my hair has been growing a bit more quickly since starting using this -- coincidence? Possibly, but I have not been doing much else different. The best thing about this one for me is the smell - it is so uplifting and minty! Love love love. Solid shampoo can be a tricky type of product to navigate, as the results really depend on your hair type as well as what kind of water you have in your area. Short hair fairs best with shampoo bars in my experience, and Friendly Soap makes one of the best I have found in terms of quality and price. 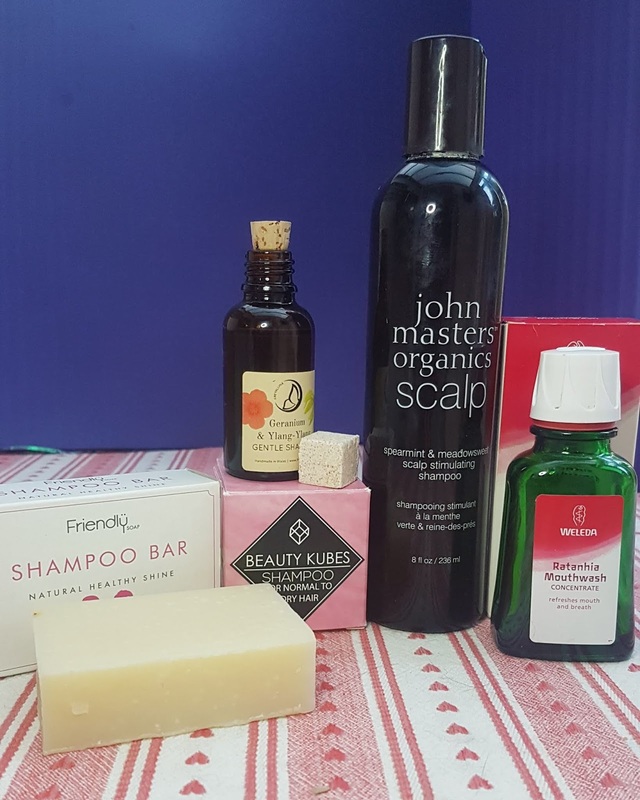 Tim is a total convert to plastic free shampoos since introducing Friendly's Lavender Geranium bar into his routine - he loves the lather, how silky his hair feels, and that this lasts for absolute ages. However, for those with really hard water or longer hair, shampoo bars may feel too heavy or leave your hair looking a bit dirty. In that case, I highly suggest you give Beauty Kubes a go. I really thought I would have to either accept having gross looking hair to use a plastic free option or just continue using plastic bottles, then I got a sample of these shampoo cubes. They are a vegan friendly powder that turns into a paste with water, and they lather up just as well as your favourite bottled shampoo! I have found that my hair only needs half a cube most times as it is fairly thin, meaning the box will last me ages (since I only wash about 2x a week). Plus, my hair looks and feels super clean after a wash, without added frizz or drying out -- definitely my personal top pick for a solid shampoo! I reviewed this as part of the October edit of The Natural Beauty Box, and while I didn't get on with the shampoo as part of my regular haircare routine, I found it absolutely brilliant as a clarifying treatment. The vegan formula completely refreshes the hair, leaving it shiny and smooth, and my scalp always feels incredibly clean and cleansed after use. And along with these already great results, the oils in the shampoo help promote healthy sebum production, regulate dandruff and grease, and prompt hair growth. Talk about a fab treatment! 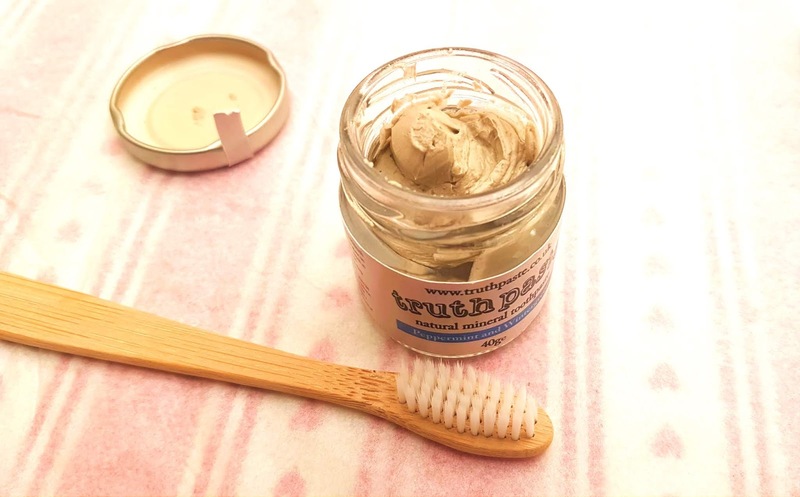 I have tried a few plastic free toothpastes in the last twelve months, but none of them measured up to traditional tubes -- that is until I gave Truthpaste a go! Truly a paste, this does take some getting used to both for the feel of it in your mouth (don't expect any foaming action with this all natural product!) and application onto the brush. With a clay-like consistency due to the calcium carbonate and bentonite, it is a little grainy, but this is actually a good thing as it helps tackle plaque build up and remove any food particles. The clay also works to remove toxins from the mouth, while the essential oils kill bad bacteria, regulate the natural pH levels, and add a pleasant taste. I was really pleased with the taste and with how clean my teeth felt, so I have to make this my best ethical toothpaste of 2018. Another (primarily) plastic free option for the win! Weleda's Ratanhia Mouthwash is seriously impressive stuff once you learn how to use it, and while I have been trying out a few other plastic free options in the last few months, I haven't found anything better. With myrrh, ratanhia, sage, peppermint, eucalyptus, and more, this mouthwash leaves your breath fresh and mouth cleansed, plus my sensitive gums felt soothed and protected. The mouthwash itself is a concentrated blend of these potent oils, and you just drop 5-10 drops in a glass of water. What size glass? Well, I found a shot glass size was ideal, as any larger and it starts to be far too diluted. I tried so many candles in 2018 I would be hard pressed to pick just one candle that I loved more than the rest, so instead of trying to do the impossible I have selected two brands that I think best represent the category: Celtic Herbal and Urban Lune. Urban Lune I have talked about previously both on Instagram and here on The ecoLogical, but just in case you have forgotten, this UK based company creates eco friendly candles that use cotton wicks and hand-poured coconut/soya wax. Plus, each are infused with local organic flowers and contain charged crystals! They have loads to choose from, but one of my current favourites is Tree of Life. My love for Celtic Herbal's candle creations is based on entirely different reasons -- not only are these 100% natural soy candles super affordable, but the scents are all so lovely and there is one for every taste. Warm and spicy exotic woods, fresh and floral geranium and grapefruit, soothing lavender, and even Christmas inspired fragrances for the holidays! Each has been crafted to target a specific aspect of your wellbeing, and each one I have tried has been exceptional. Depending on what you are looking for, you are sure to achieve a restful night's sleep with one of these green goodies. Tisserand's Lavender and Chamomile mist offers an ultra relaxing aroma that truly soothes your mind and spirit. This stuff is really powerful, and with just a few spritzes over your duvet, pyjamas, or pillow before bed you will find yourself catching some zzzs in no time at all. I sleep so deeply when using this, and I am really loving how affordable it is. On the other hand, Kiss the Moon delivers a more luxe option that delivers on all aspects of pure dreaminess. The packaging is gorgeous (reminiscent of Parisian boudoirs or 40's era glamour) and the formula is absolutely lovely with heady floral notes and a gentle hit of spice. Rose, ylang ylang, and frankincense combine to bring the perfect pre-bed treatment, and I love drifting off to this beautiful blend. In terms of variety of scents, price point, and potency of aroma, I have to give Made By Coopers a win for best ethical room spray. You can choose from seven fragrances, each targeting their own special area of wellbeing -- Happy, Calm, Revive, Restore, Awake, Invigorate, and Sleepy Head (though this one is technically a pillow spray!). I've been relying a lot on Happy since the cold weather has set in, and I have found it really boosts my mood and helps keep me feeling positive, but even in the summer months I found a few quick spritzes of this room spray helped brighten up my day. 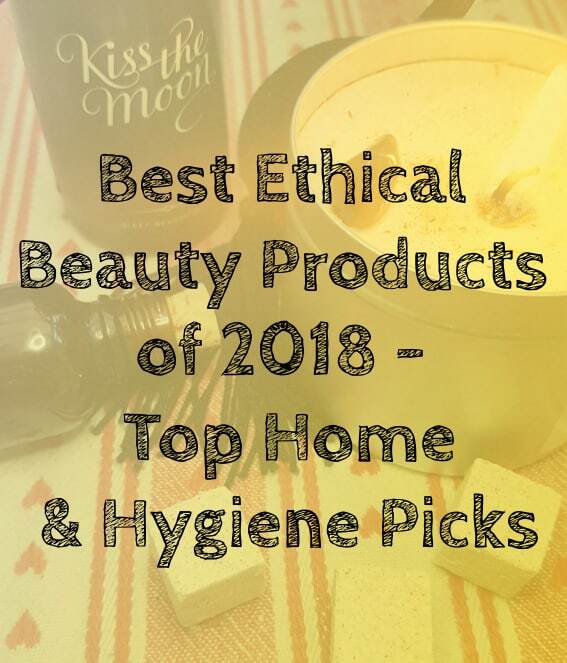 And there you have it -- my top selections for best ethical home and hygiene products of 2018! I tried to narrow it down to just one pick per category, but as you know I have tested so many amazing natural, cruelty free, vegan, and organic goodies over the course of the year that it can be tricky to choose just a single formula to be a representative. Of course there are other products I loved in 2018 (many of which you can find in my reviews! ), but these are the ones that really stood out and impressed me. I would love to hear what your favourites from last year were -- what was your best toothpaste find, or shaving saviour, or perfect shampoo? Let me know, as I would love to test it out if I haven't tried it already! I'm always on the lookout for the best of the best of ethical beauty, so share your top finds of 2018 in the comments below! I hadn't heard of any of these products before until I read your post. Will definitely look into investing in some of them as I love that they are ethical. These are all new products to me, but you make them sound amazing. I normally stick to what I know and love, such as the Sleepy product range from Lush, but I may have to give some of these a go. These are new products to me too but they all sound amazing. Love the sound of the John Masters Organics Scalp Stimulating Shampoo. My hair is dry at the moment and I am in need of something just like this! These sound like some great products - I've heard of a few of the brands but not some of the others. I love the sound of the Urban Lune candle. I love this. I really want to try and use more ethical beauty products this year so this has been really helpful! Lovely selection! I've tried some of these (deo, cubes, toothpaste) but the rest gives me a few good tips to try! Oh these all sound amazing. I love the sound of the room and pillows sprays, but mostly the truthpaste! I've been looking for a decent plastic free toothpaste! Thank you! I am saving this list. I'm sceptical about non-tube toothpastes so I am excited to look into Truthpaste. Never heard of them before so thanks. Three Weleda mouthwash is going to be given a try too. Seeing those ingredients make me think it will taste amazing. There are some great products and great recommendations here! I find it strange sometimes that people are so prejudiced at using solid shampoos, but it might be that I instantly found ones that work for my hair. My hair isn't very short, but every shampoo bar that I've tried has been amazing and they all lather up very well, although some might need a couple of applications to get enough product into my hair. One of my favourites has been Flow cosmetics Calendula shampoo, which is excellent and I've found that I don't even need conditioner which I've always needed before :) Thanks for the post, I need to check especially the deodorant!